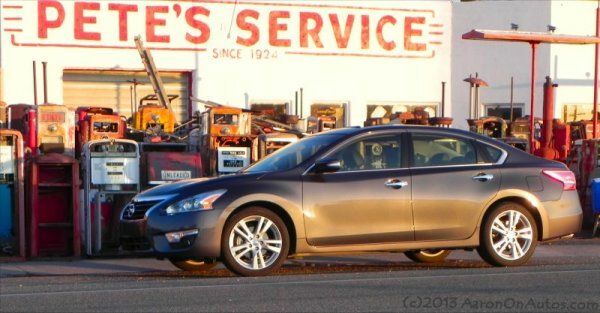 With total unit sales of 120,498 for August 2013, Nissan has seen an icnrease of 22.3 percent year-on-year and an increase of 24.3 percent for Nissan core models as well as an uptick of 6.5 percent for Infinity. This marks the first time that Nissan has ever surpassed 100,000 retail unit sales in one month, with the LEAF showing its best-ever month in history at 2,420 deliveries in August. New markets for the LEAF were the primary driver for the sales increase, lead by Atlanta, Georgia. Altima, Nissan's core model and flagship sedan (pictured), saw a 19.6 percent increase in August, selling nearly 31,000 cars. That gives the Altima an 8.9 percent sales increase for the year to date, edging it closer to overtaking the best-selling Toyota Camry in that segment (closing in by one point for August), to which the Altima has played second sales fiddle for years. The Sentra also saw big sales growth, gaining 18.7 percent at 12,605 units despite having low inventory levels. Sentra is the rising star in Nissan's lineup with an 18.3 percent sales growth for the year. While the gains the Versa saw were modest by comparison, at less than 9 percent, the car still retains its title as sales leader in the subcompact entry-level segment, where it has been for nearly two years. The real sales winners for Nissan, though, by total increase seen, were the Pathfinder and Rogue. The Rogue saw an increase of 36.8 percent, at 17,273 units for August, while the Pathfinder saw a whopping 258.4 percent increase in sales at about 8,859 units - numbers that show that this SUV is no longer dying on the vine. The Rogue, by the way, will see its 2014 redesign revealed in just five more days (Sept. 10). Mark your calendar. August marks the sixth consecutive record month for Nissan sales so far. It was also the best retail month in Nissan North America's history, justifying the aggressive growth the company has invested in for its North American production facilities. Driving much of Nissan's sales, the company says, is its average model age, which has dropped by forty percent from last year as the company redesigns vehicles at a faster pace.